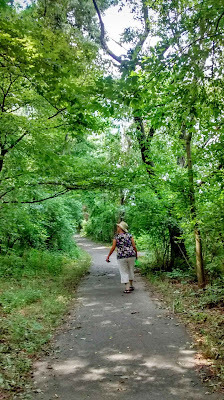 On Sunday, September 16, 2018, at 2 p.m., members and friends of Lansdowne Baptist Church went on a walking prayer at the John Heinz Wildlife Refuge in Philadelphia. It was wonderful to get out on a startlingly beautiful day and be quiet in God's creation. As usual, once we became still, all the wildlife around became apparent to us. It is amazing what we overlook in our hurried lives. Our next walking prayer will be on Sunday, October 14, 2018. We meet in the church parking lot at 1:30 p.m. and travel over together. It takes roughly fifteen minutes to get to our beautiful destination. All who wish to encounter God through the natural world are welcome to join us.